Winter is in full swing, and with subzero temperatures, Mother Nature is showing us who the boss is! Boy is it cold! With this cold weather engulfing us this week, I picked any excuse to open up the oven, and warm up the kitchen and house. 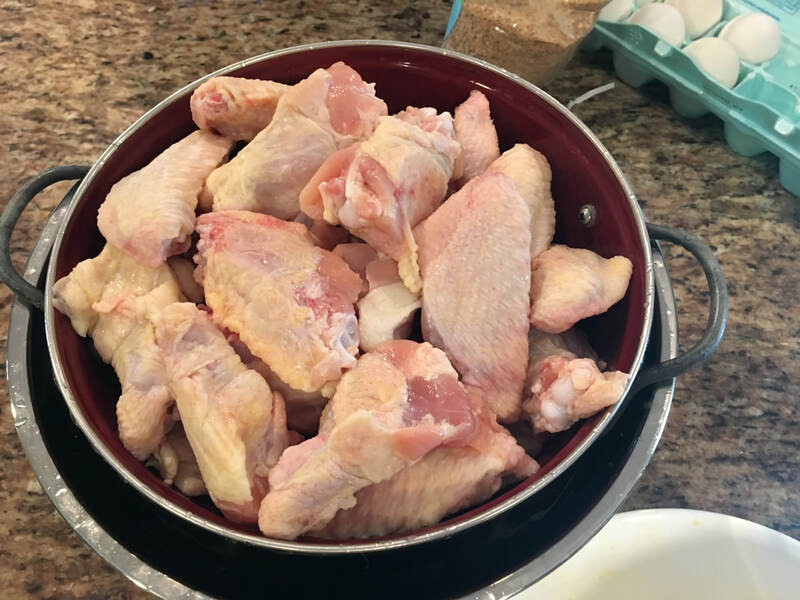 With Super Bowl Sunday around the corner, I decided I needed to post a recipe on chicken wings, which seem so fitting for the big game! I didn’t have any pictures of our family’s favorite mode of cooking them, so I bought two large trays and decided to make some so I could add them here. 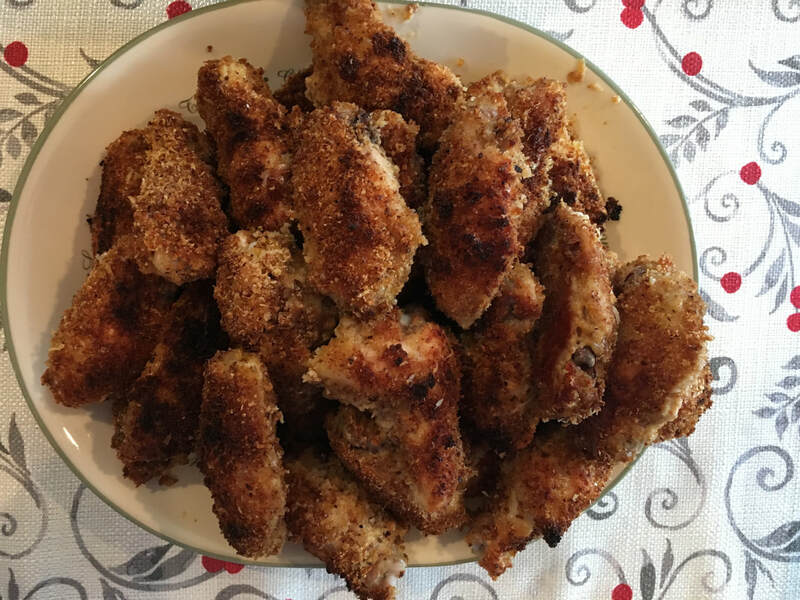 A multi-purpose post of a new recipe for you, plus my kitchen was nice and warm!This recipe didn’t make it in my new cookbook, The Five Ingredient Italian Cookbook, but it really is 5 ingredients or less. One word about this and any recipe that calls for only a handful of ingredients. As I mentioned in my book, I can’t stress enough how important quality ingredients are. Italian cooking is about quality over quantity, and the outcome is only going to be as good as what you put in. Let’s start with the breadcrumbs. 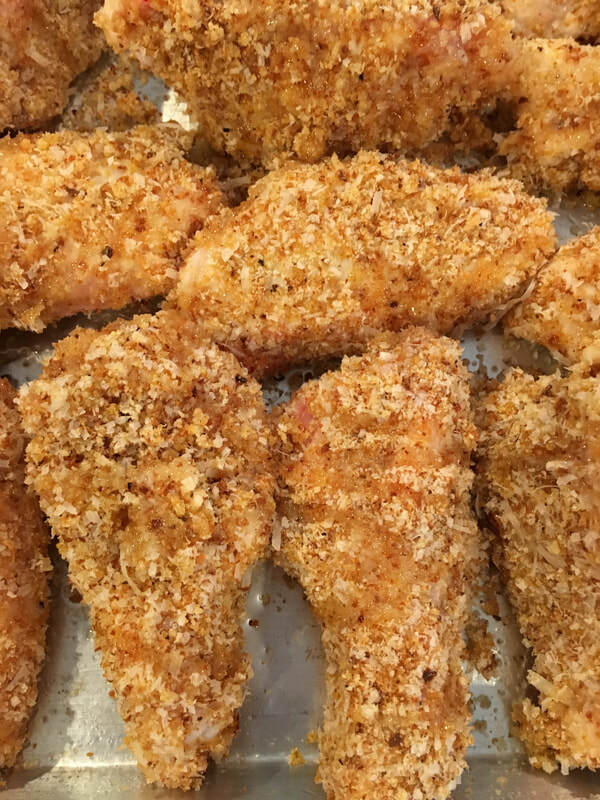 If at all possible, use unseasoned bakery breadcrumbs, or make your own using older, dried out bread. I don’t like promoting the crumbs you find on the grocery store shelf in cardboard containers. They are often stale, flavorless, and the flavor they do carry is usually of cardboard. Visit a local bakery or the bakery department at your grocery store, and get some fresh crumbs. It’s actually also very simple to make your own. Dry out some quality bread by leaving it out on your counter for several days, or place it in the oven after it’s been turned off. 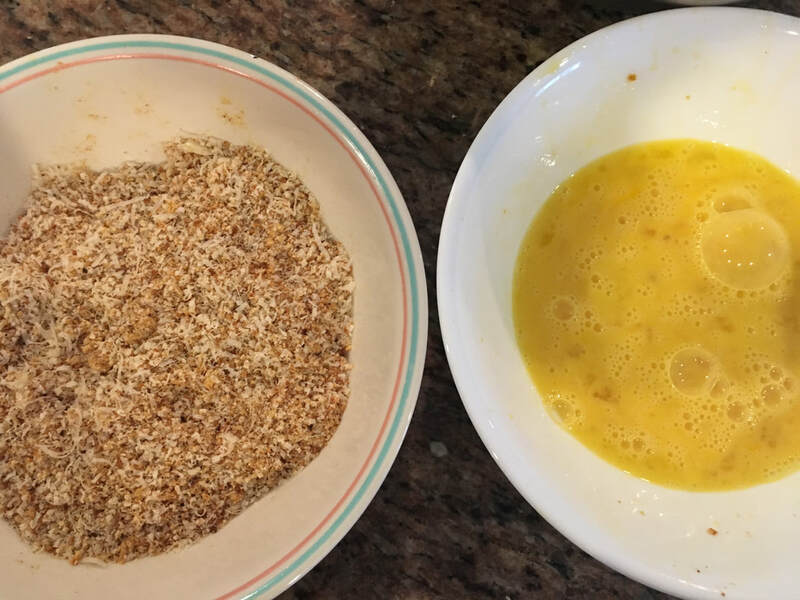 When it’s completely dry and hardened, just add it to a food processor and turn it into crumbs. Let’s turn to the Parmesan cheese. The term “parmesan cheese” now captures every form of grated cheese, authentic or otherwise, Italian or local. Please, please, please, do not use the one that shall remain nameless, and that comes in a green tub found on the grocery store shelf. That tube is filled with fillers that aren’t even cheese. It’s actually legal to have a certain percent of wood chips in there, labeled as cellulose. Don’t, just don’t. Use instead authentic Parmigiano Reggiano cheese (or Grana Padano – the cheaper cousin). Buy a chunk of it ungrated. Check the label to make sure you see the words “Parmigiano Reggiano” (or part of the words) on the label. 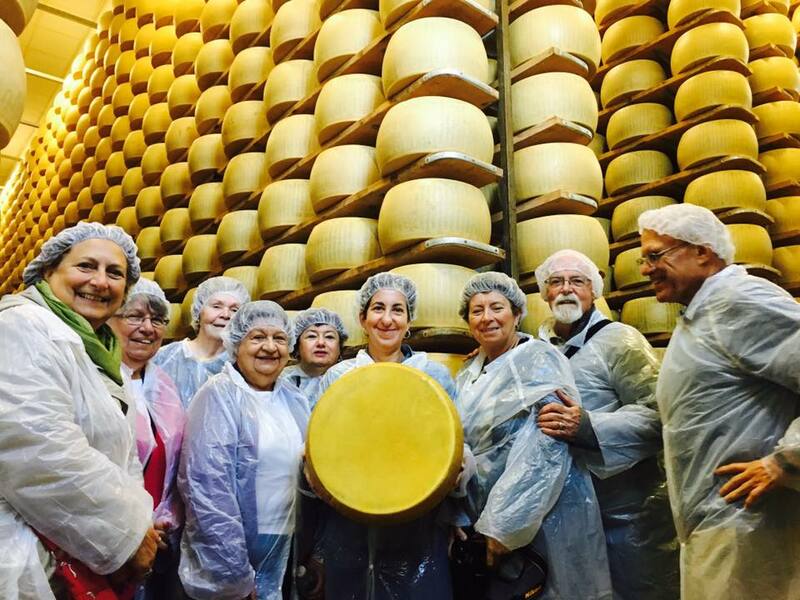 The term “Parmigiano Reggiano” is actually protected, so you can be sure you are getting the real thing. 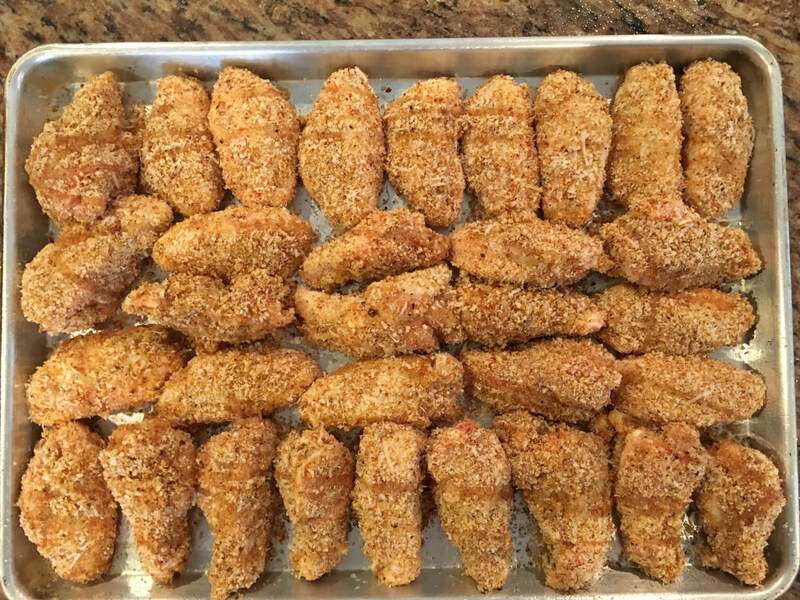 The other two ingredients are just eggs and the chicken wings. Make sure both are as fresh as possible. With fresh, authentic ingredients, you’re in for a delicious Super Bowl snack! 4. 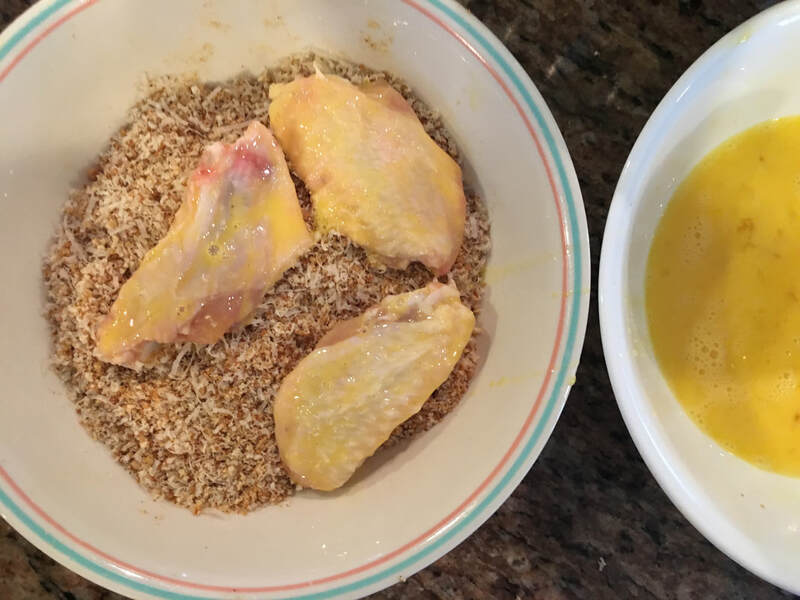 Sprinkle some salt over the chicken wings, and working with 1 or 2 at a time, dredge them in the beaten egg. TUSCANY: MAY 1 – 8, 2019. Click here for all trip info and to sign up!